Home » Adonai » Magnesium: Are you missing this mighty mineral? Magnesium: Are you missing this mighty mineral? Magnesium is one of the most abundant minerals in the human body and is involved in over 300 different physiological pathways! Because it is being constantly used up it is important to be replenishing our stocks daily. Having optimal levels of this fantastic mineral is absolutely crucial to having great health. Unfortunately the western lifestyle doesn’t do a whole lot for our Magnesium status. The National dietary Survey of Adults conducted in 1983 indicated that up to 48% of men and 59% of women consumed less than the recommended daily intake of 350mg per day of Magnesium. So, why aren’t we getting all the Magnesium that we need? Below are some of the major factors that quickly deplete our Magnesium levels. Some of the most common symptoms of Magnesium deficiency are …. Supplementing with Magnesium can be of great benefit to your health, however as with all supplements check first with your Naturopath or Nutritionist to make sure it is safe for you. Not all Magnesium supplements are created equal. 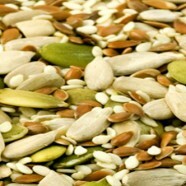 There are many different forms which magnesium can be found and not all are easily absorbed by the body. Some forms may also create irritation to the gut when taken in high doses. This is where your practitioner can help you find a product that will give you maximum benefit. Use their wealth of wisdom and get the most nutritional bang for your buck! Disclaimer: This information is provided for general interest and education only. It is not designed to replace the advice of your doctor or natural therapist. Herbal and nutritional medicines should be prescribed by a health professional trained in these fields to ensure they are both safe and beneficial. Kelli Kieselbach is the Naturopath and owner at Adonai Natural Health Clinic in the North East suburbs of Adelaide, SA. Kelli is passionate about restoring health and preventing disease using nutrition and herbal medicines. As a Naturopath, Kelli uses her skills clinically to empower clients of all ages to achieve better health and quality of life. To request an appointment with Kelli or to make an enquiry, please click on the links below or contact the clinic on 08 8396 7500. Should you be eating organic? What is a Naturopath and why would I see one?